Water heated air curtains There are 3 products. Water heated air curtain width 1m. Air curtain protect from hot and cold they can reduce penetration of insects, outside dust, unconditioned air into a conditioned space by forcing an air stream over the entire entrance to create a comfortable and fresh environment for you. 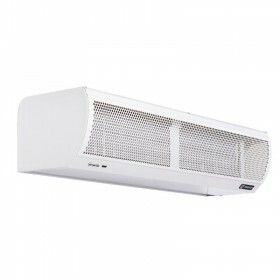 Water heated air curtain width 1,5 m. Air curtain protect from hot and cold they can reduce penetration of insects, outside dust, unconditioned air into a conditioned space by forcing an air stream over the entire entrance to create a comfortable and fresh environment for you. Water heated air curtain width 2 m. Air curtain protect from hot and cold they can reduce penetration of insects, outside dust, unconditioned air into a conditioned space by forcing an air stream over the entire entrance to create a comfortable and fresh environment for you.